As published in ABC South East SA. For Wah Ree Paw the simplest things were some of the hardest when she arrived in Australia. “We had never actually got inside a car before, so we didn’t know how to wear or how to put on seatbelts,” she said. On the flight to Australia she also found it tricky not knowing any English. “They had food to eat on the plane but then you don’t know how to ask which food you want to eat”. 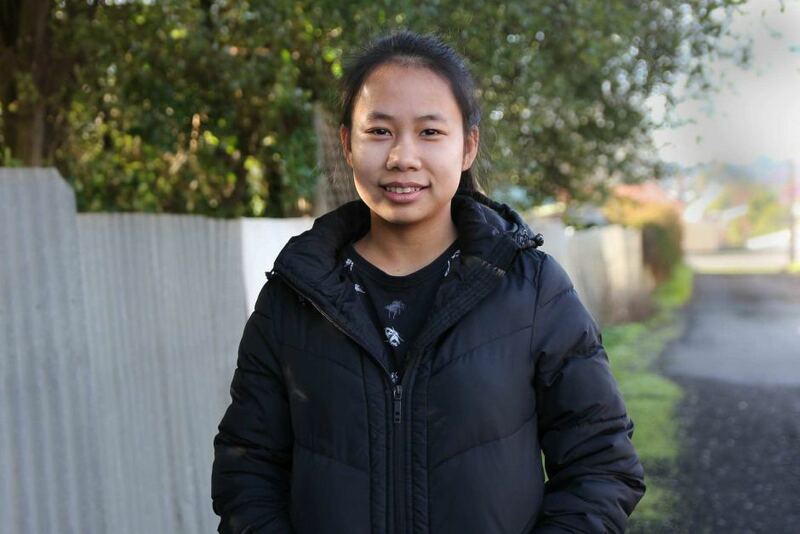 Now, eight years later, she has finished year 12 and is working as a case worker and translator, helping other Burmese migrants adapt to Australia. Ms Paw is one of more than 35,000 Burmese who now call Australia home. She arrived in Mount Gambier, South Australia, in 2010 with her parents. They had fled tensions in Myanmar and lived in a refugee camp in Thailand where Ms Paw was born, living alongside almost 3,000 refugees. A new report from the Migrant Resource Centre has found those born in Myanmar, with a migrant or refugee background who are now living in Australia, are contributing to the areas they live in more and more each year. Some are opening businesses and buying homes and almost 100 per cent of people in a pilot survey conducted in Adelaide and Mount Gambier, say they’re enjoying the area they’re living in. 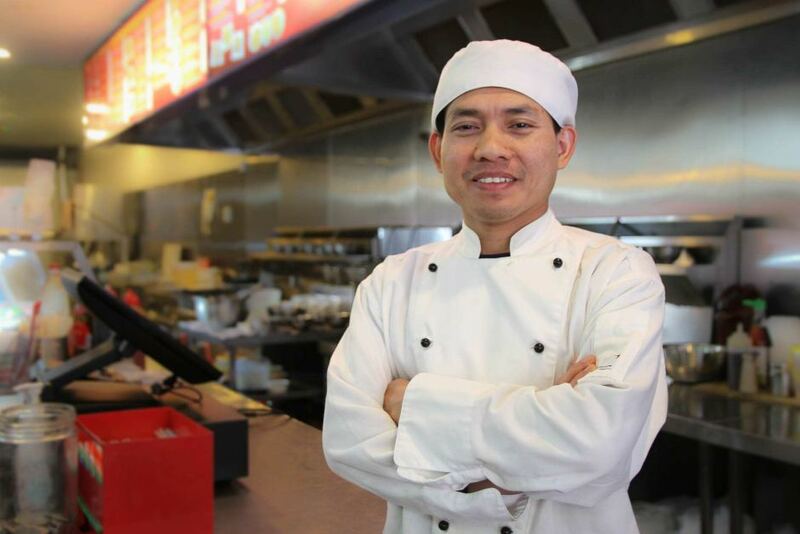 Burmese migrants Saw Myo Saw and Saw Khain are among those opening for business in their new community. 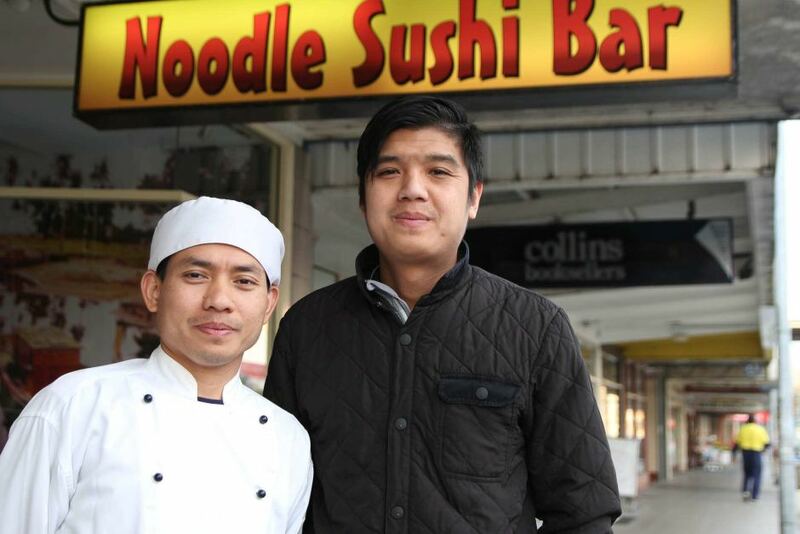 Despite coming from similar backgrounds, they met for the first time in South Australia and in 2016 bought a noodle and sushi store. But it hasn’t been without its challenges. The banks would not lend them money and they had to borrow from a friend. “When we couldn’t get a loan from the bank, a friend offered to loan us the money with no interest,” Mr Saw said. Now, two years on, the pair say business is going well. Mr Saw said that while he was living in Malaysia before coming here, an eight-our work day was a dream. “We used to work around 13 hours a day every day of the week with only two days per month off,” he said. Saw Khain said touching down in Australia was a shock. “When I arrived here I thought it was a bit cold for my family because Malaysia was so hot,” he said. Anelia Blackie, from the Migrant Resource Centre, who has worked with hundreds of migrants from Burma said the things they found tricky were simple tasks like using an ATM or shopping in a supermarket. “They’re not used to seeing traffic, they don’t know about cars, many of our migrants lived in refugee camps for up to 25 years,” Ms Blackie said. Quite often the migrants were traumatised when they arrived and Ms Blackie said it took time for people to adjust. “It’s different for every family but it certainly takes a few months to a year,” she said. “We get a lot of the new migrants after their first night in Mount Gambier in their house, they complain to us the next day it’s too quiet, the streets are too quiet,” she said. “They’re used to having chatting and singing in the refugee camps, which are of course are overpopulated. The Migrant Resource Centre expects to undertake another report into the settlement of migrants from Myanmar in three to five years’ time to track trends and changes.